In memory of our Department’s founder Professor Talât Halman, 1931-2014. Prof. Dr. Talât Sait Halman graduated from Columbia University’s Department of Political Science in 1954 and received a doctorate honoris causa from Boğaziçi University in 1988. Before founding the Department of Turkish Literature at Bilkent University and serving as its first Chair and as the Dean of the Faculty of Humanities and Letters, he taught Turkish language, literature, and culture, as well as courses on Islamic and Middle Eastern topics at Columbia University (1953-1960), Princeton University (1966-1971 and 1972-1980), the University of Pennsylvania (1984-1986), and New York University (1986-1996), where he served as Chair of the Department of Near Eastern Languages and Literatures. Prof. Dr. Talât Halman authored close to fifty books (including twelve volumes of poetry such as Sessiz Soru, Uzak Ağıt, Canevi, Birler, Can Kulağı, İkiler, Dört Gök Dört Gönül, Tuyuğlar, A Last Lullaby, and Shadows of Love / Les ombres de l’amour), as well as more than one thousand five hundred newspaper articles, almost five hundred scholarly articles, as well as numerous numerous encyclopedia entries. Among his publications, of particular note are an anthology of poetry from the world’s ancient civilizations, translations of Shakespeare’s sonnets, of Faulkner, of ancient Egyptian, ancient Near-Eastern and Eskimo poetry, as well as books on topics ranging from American poetry to Mevlânâ and Yunus Emre, some of which have been translated into French, German, Hebrew, Hindi, Japanese, Persian and Urdu. Starting in 1969, Halman also worked as a chronicler for daily newspaper Milliyet. He also sat on the editorial board of World Literature Today and served as guest editor for a number of journals including Books Abroad, Contemporary Literature in Translation, Literature East &amp; West, Pacific Quarterly, Review of National Literatures, Journal of Literary Translation, The Literary Review and the Bulletin of the American Poetry Society. Prof. Dr. Talât Halman was also a member of the Boards of Trustees of Robert College and of the United Nations International School, as well as the second president of İKSV, the Istanbul Foundation for Art and Culture. 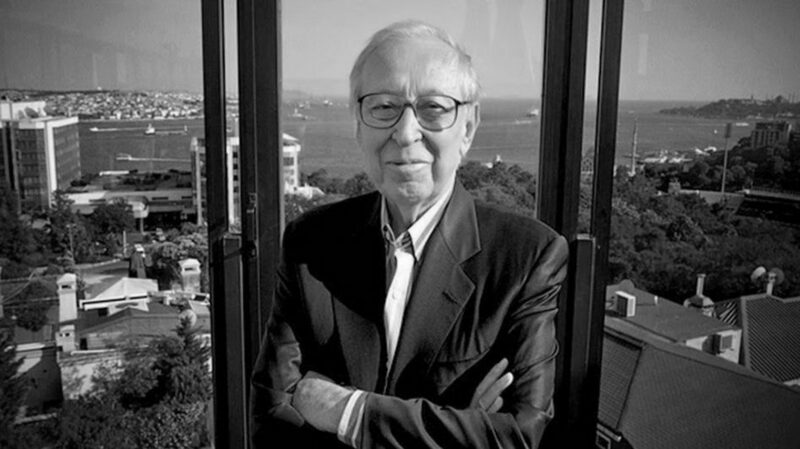 Among many other awards and honors, he received a Rockefeller Fellowship in the Humanities, the Thornton Wilder Prize, a UNESCO Medal, the Knight Grand Cross (GBE), the Most Excellent Order of the British Empire, and the Distinguished Service Award of the Turkish Academy of Sciences and of the Turkish Foreign Ministry. In addition, he served as Turkey’s first ever Minister of Culture in 1971, as its Ambassador for Cultural Affairs (1980-1982), as well as a member of the UNESCO executive board (1991-1995).